Microwaves are the new inventions made for the modern style of cooking and preservation of food items. They are made with sophisticated technology which ensures that your preservation is done properly and fast while you go about doing other kitchen activities. Look through our wide range of HISENSE MICROWAVES and decide which one is right for you and your kitchen. Whether it's defrosting, warming or properly heating up these microwaves are sure to get the Job done giving you no stress and more time. 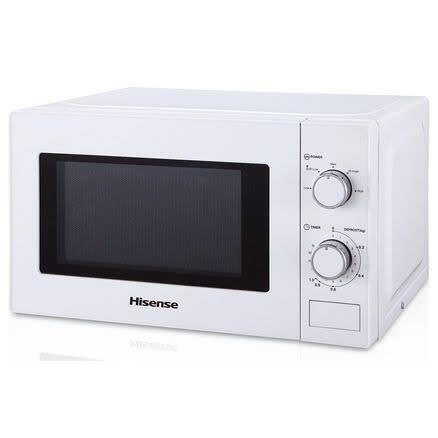 Hisense microwaves are equipped with the latest technology suitable for daily kitchen activities such as cooking, defrosting, and reheating your food, From steam technology to dual convection options, you’ll find a host of microwave oven features that combine convenience with traditional cooking.